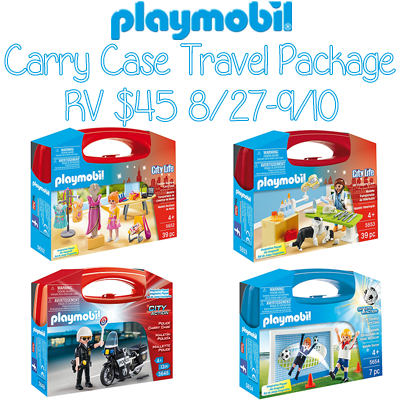 Enter to win a Carry Case Travel Package! This includes four different Carry Cases (all featured below)!! How fun! He'll love the police or the vet one the most! I think my kids would love the Soccer Shootout Case the most!! So fun! I think my kids would enjoy the Vet Visit Carry Case the most. I think my son would love the police one the most. He loves anything police or army now. I think he'd love the police one. Hi, If you are looking for any guideline or accessories about travel. Then I would like you to visit this site. I always take my travel accessories from here. You can check it out. Activities to Do in Palm Jumeirah Great article post. Keep writing.